This design includes six icons of people with red hair, or popularly known as redheads. 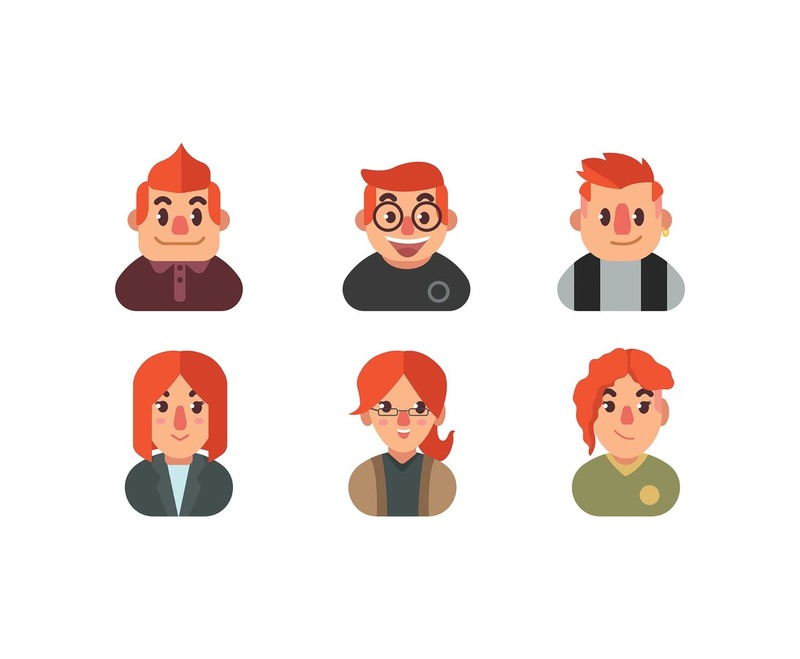 It illustrates red-haired men and women along with various models of haircut, all of which are presented in a white background. I hope it's useful for your design projects.